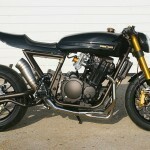 Cafe Racer, Scrambler, Bratstyle & other Custom Bikes. Follow us on Facebook, Twitter, Instagram, Pinterest, Google+ or subscribe to our newsletter. 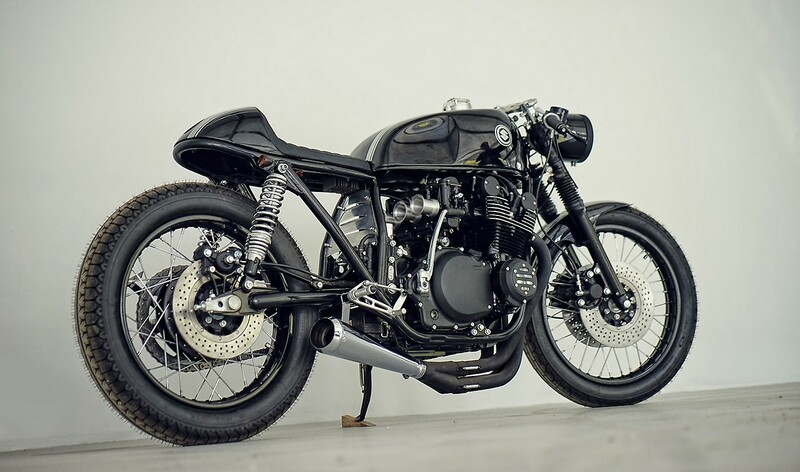 Although we’ve listed the Suzuki GS-series on our list of popular cafe racer base bikes, we don’t see them that much. 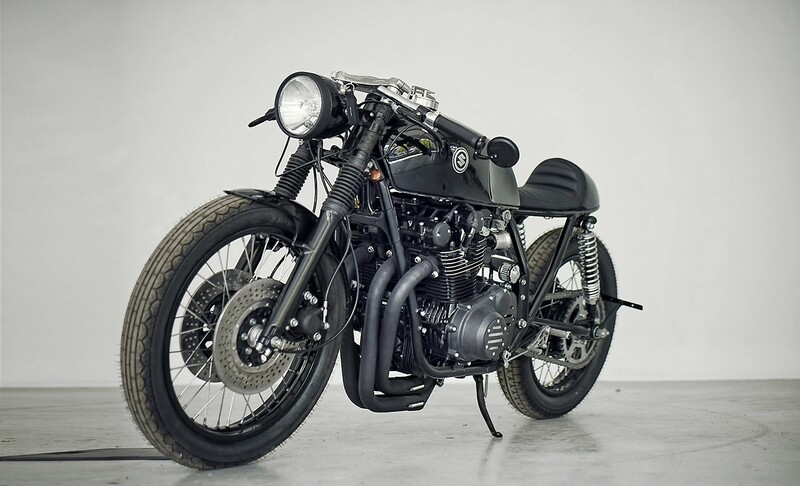 A lot of brewers pick the Honda CB750 instead of the Suzuki when turning the bike into a café racer. 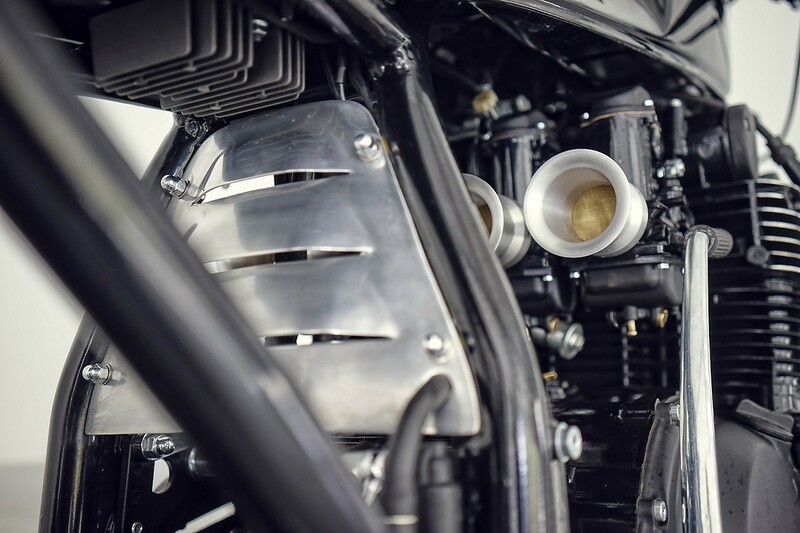 OK, with all the aftermarket parts, proven engine upgrades and a shitload of information, working on a CB is easier. 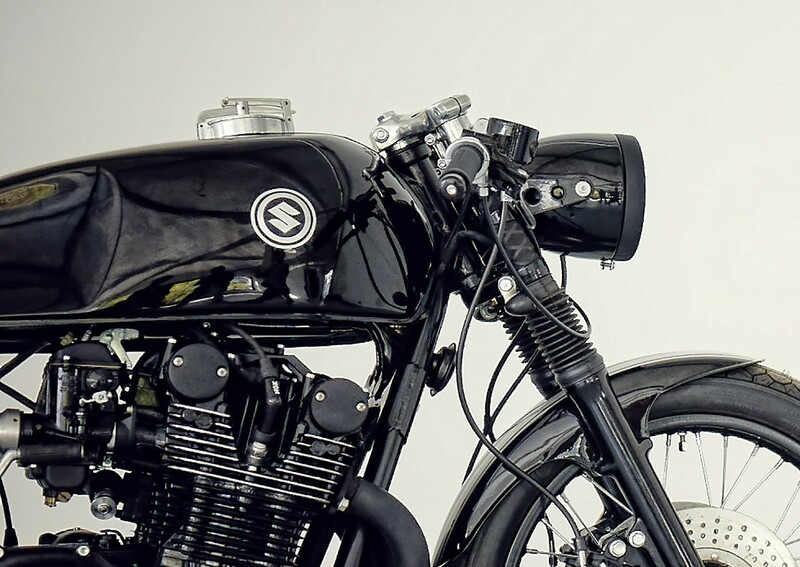 But if you look at the biggest competitor of the Honda, the Suzuki GS, you also see a very great bike, with more power and better handling. 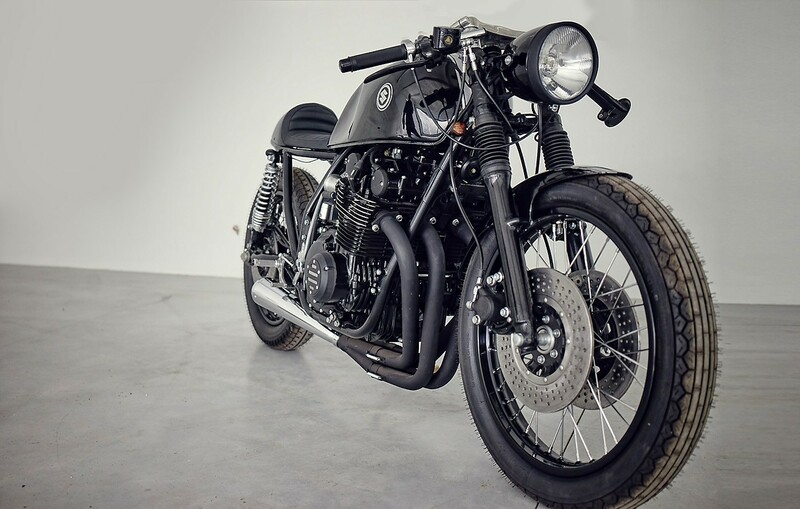 So Lukas and Sylwester from Eastern Spirit Garage took this GS750 and turned it into this cool cafe racer. 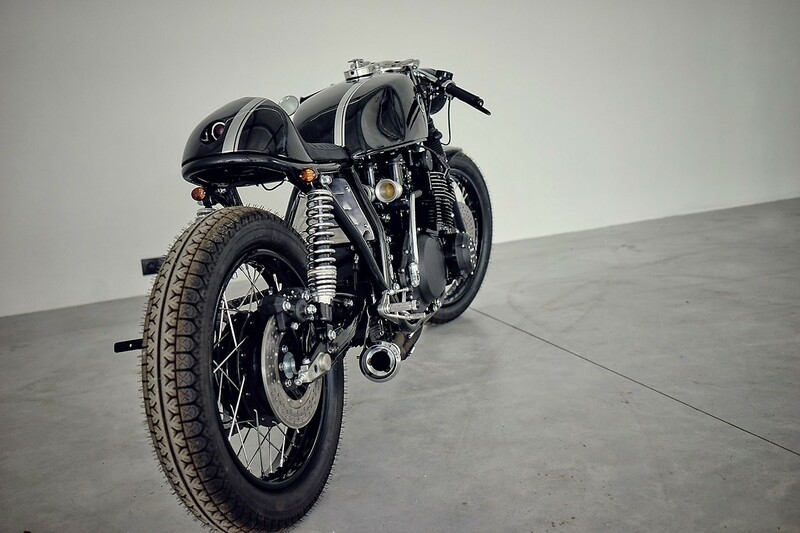 Sometimes I just stumble upon a cool looking custom motorcycle without specs, just like this Suzuki GSX-R Café Racer by the German brewers of Custom Wolf. 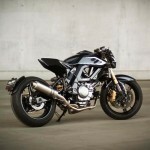 They've customized this GSX-R 1100 into something "strong & black" and called it "Espresso". 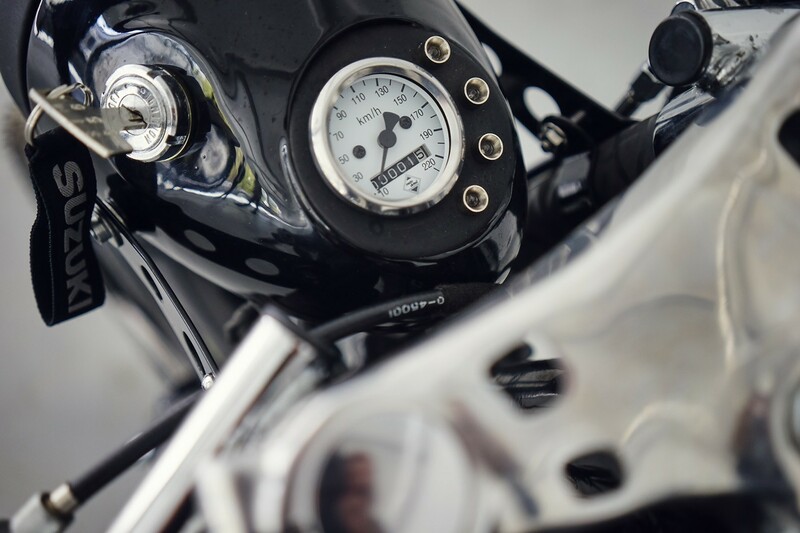 Sign up and be the first to see new custom bikes! 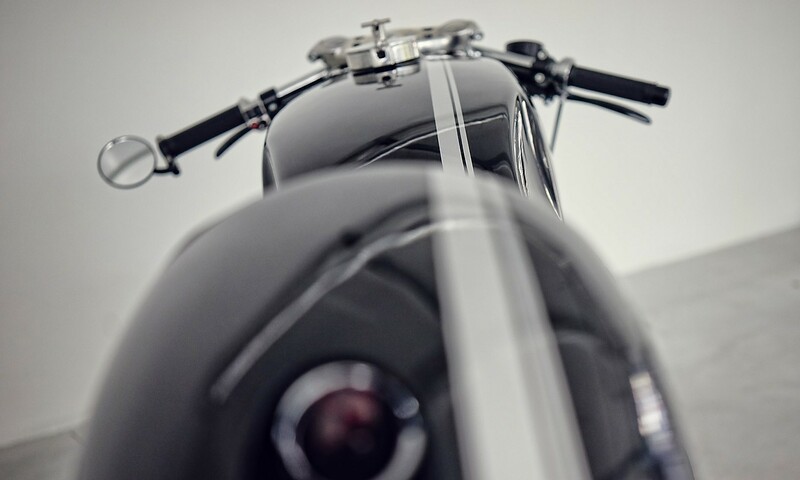 © 2015 -2019 BikeBrewers.com – Get a view on the coolest custom bikes in the world! 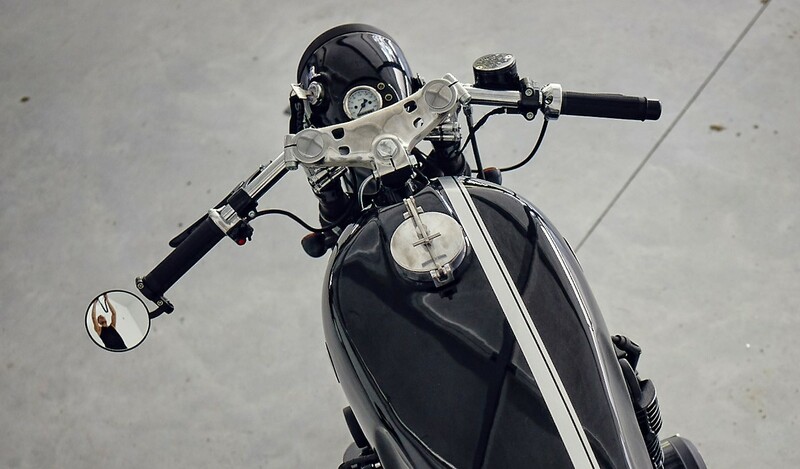 Café Racers, Scramblers, Trackers, Bratstyle & other custom bikes, brewed with passion. 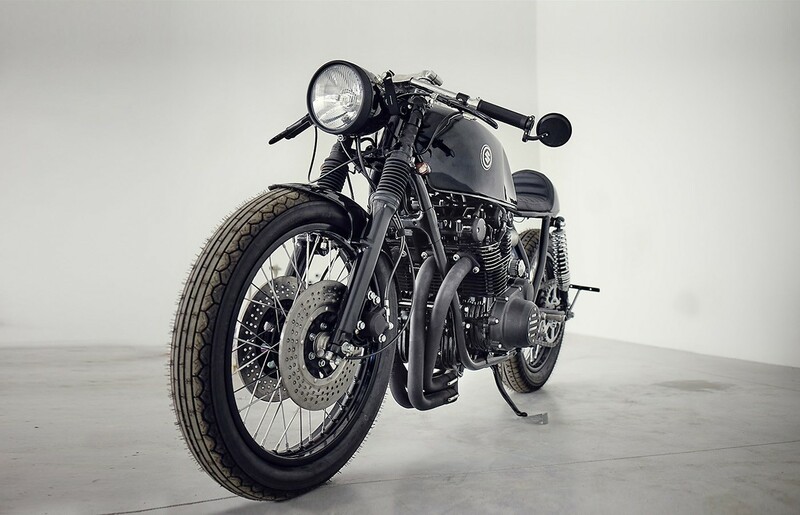 We roll on our readers submissions, so if you want to show off your custom motorcycle: submit your brew!